The students at Emmanuel Christian have an opportunity to participate in the drama group. The Drama Team, “Unashamed,” was begun in 1999 to give students an avenue for presenting the Gospel of Jesus Christ in a unique way. 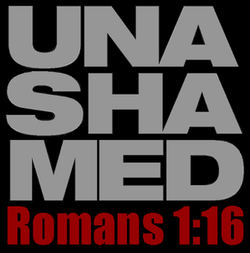 The name is derived from Romans 1:15 and the students strive to unashamedly present the gospel. We know the gospel is the power of God for salvation to all who believe. Each year the students are invited to minister at church services, chapels, and luncheons. We usually participate in fifteen to twenty services every year. We know God is blessing us and are looking forward to where He is leading.